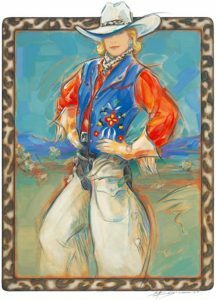 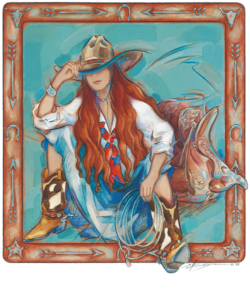 Susan stroked bold color with energy in a stylized realism, inspired by the passion, self-confidence, and pride of the free-spirited cowgirl. 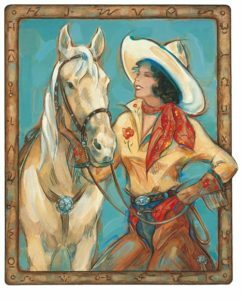 These were the first 4 paintings that started Plum Sassy Cowgirls. 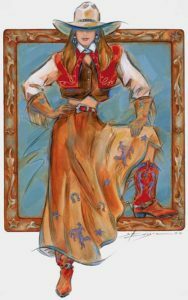 Great companion gifts to the matching prints: Plum Sassy, No Truer Love, You Want What? 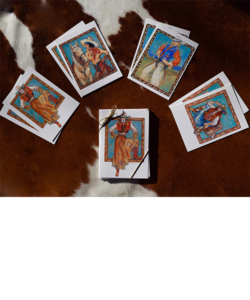 and Down Time. 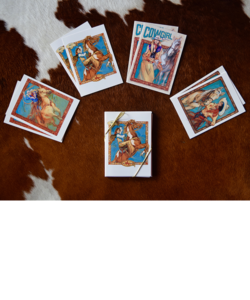 8 assorted 5”x 7” blank note cards, 2 of each cowgirl. High quality acid-free archival paper, with envelopes.